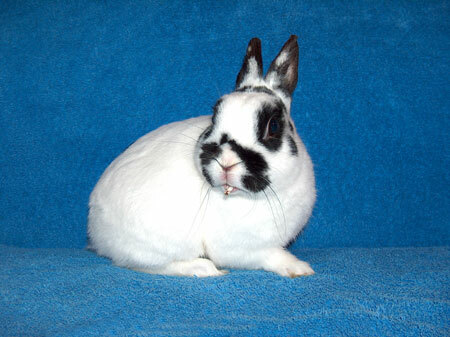 Emil was a friendly, outgoing and cute, neutered Netherland dwarf mix boy. He loved to be talked with and to get a lot of attention. He was a special needs bunny, because he had a very serious malloclussion, which meant his teeth don't line up properly. He required dental surgery to remove all four of my incisors. Unfortunately , Emil stopped breathing during the surgery and we lost him today 3/11/06. While he was not with us that long at SaveABunny, we loved him very much and are devastated to lose him.